It’s officially Spring, and we’re beyond ready for the warm weather ahead. One of the best parts of the change in seasons is the update to your wardrobe. To get started, it’s important that we add 3 key transition pieces, so we’re ready for whatever the weather throws us. Some Great Spring Coats — Before we get to Summer sunshine, we’re going to have some more rainy days. We want to be the first to tell you that a little rain shouldn’t stop your style. Create a Made to Measure coat that can keep your warm, dry, and fashionable. And with our new knitwear collection, you can create the style that works perfectly for you. Colorful Suiting — The best part about a great suit is that it looks great all year long, regardless of the season. 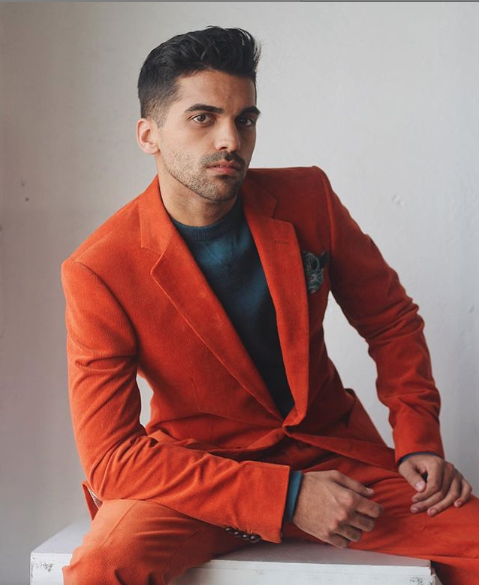 So to spice up your neutral winter pieces, add in some vibrant suits to liven them up a bit. You’ll be ready for every occasion, and you can wear them differently from season-to-season. Fun accessories — So much about transitioning your wardrobe from Winter to Spring is about layering and adding new details to breathe new life in your old clothes. A floral tie, fun socks, or an eye-catching pocket square can add a whole new energy to your look. Starting Spring doesn’t have to mean starting over from scratch. It’s the perfect time to schedule an appointment to create your Made to Measure additions that you’ll love for years to come. Let’s swing into Spring in STYLE!